GroupNet Solutions works with an organization that desires to register members, track fees or completion of requirements, and/or simply desire to communicate with their membership. Pros: Custom logic programming, 24/7 customer support. 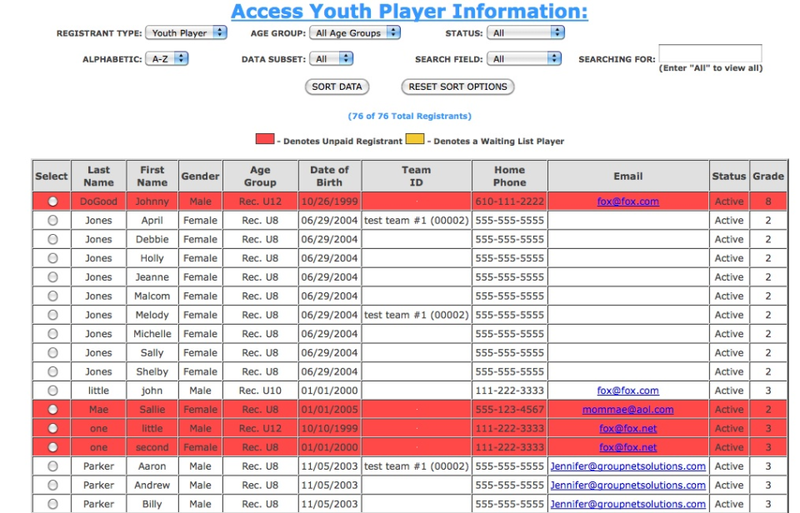 Overall: Our organization (>4,000 players, 7 sports) has used GNS (formerly Youth Leagues USA) for over twelve years. What sets them apart is that GNS will custom program our registration forms, reports, and individual/family payment processes with logic that meets our unique needs for each sport. Requests for programming changes are answered within a few hours, and they provide a 24/7 phone number for emergencies where you speak to a real person, not a call center. Thank you so very much, John, for your review. The entire GNS team greatly appreciates your taking the time for such review and truly appreciate working w/you and your teams!